[Tokyo, Japan] A foodie friend traveling in Japan asked for the “Best Tonkatsu in Tokyo”, and a quick online search should reveal some names – Maisen at Shibuya, Tonkatsu Tenshin at Meguro and Ginza Bairin. But why is Tonkatsu not extensively written at all? 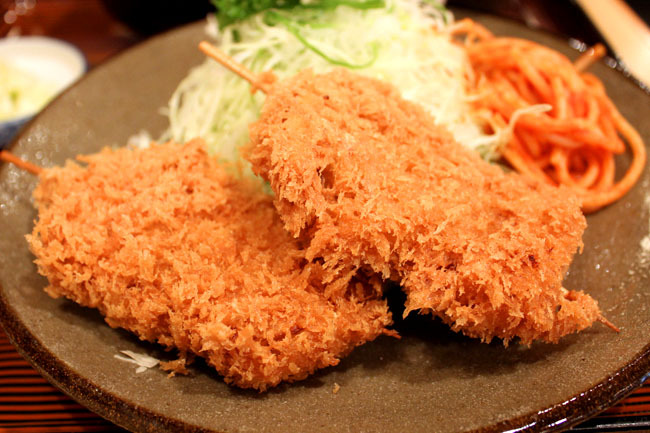 Tonkatsu 豚カツ is a popular delicious Japanese single dish of a breaded deep fried pork cutlet, served with rice and shredded cabbage, placed on curry, or used as a sandwich filling. 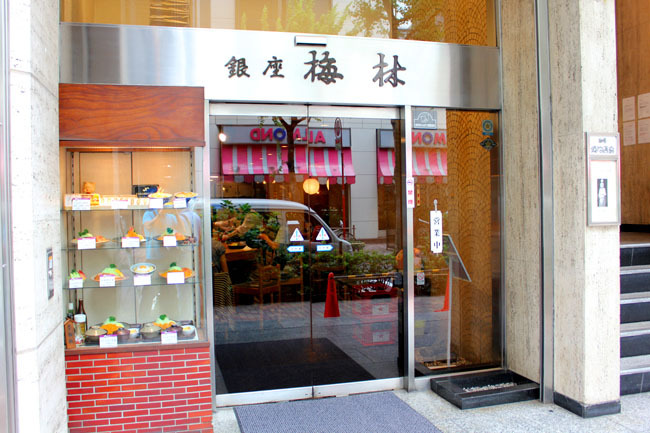 Ginza Bairin 銀座梅林, established in 1927, is the very first specialty Tonkatsu restaurant in Ginza Tokyo. The founder Nobukatsu Shibuya’s creations include the famous Katsu sandwich, originated when there is a shortage of rice after the world war. Yes, Tonkatsu sandwiches – crispy crust, juicy meat and soft bread – are the bomb. The business has since been taken over by a great grandson, and extensively planted around the world in Singapore, Hong Kong, Shanghai, Manilla and Hawaii. The quality may be differing, and perhaps only Japan’s version serves the best. The original Ginza Bairin at 7-8-1 Ginza Chuo-ku (somewhere near A&F) continues to serve traditional dishes such as kurobuta (Berkshire pig) cutlet, original katsu bowl, shrimp cutlet and tonkatsu sandwich. This you must know: ‘Rosu’ ロース uses the pork loin and has a layer of fats, while ‘Hire’ ヒレ the fillet is a leaner cut with less fat. Your choice. 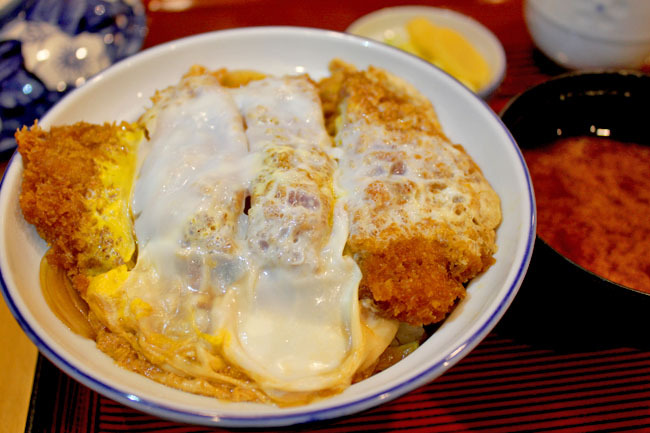 One of Ginza Bairin’s signature dish is the Katsu Don (1,800 yen), rice with deep-fried pork tenderloin and topped with egg. I wanted to try something more varied, thus the Skewered Katsu Rice with pork and onion skewered together and deep fried. Again, every bite reveals light crispiness inside and out, yet it doesn’t feel oily. 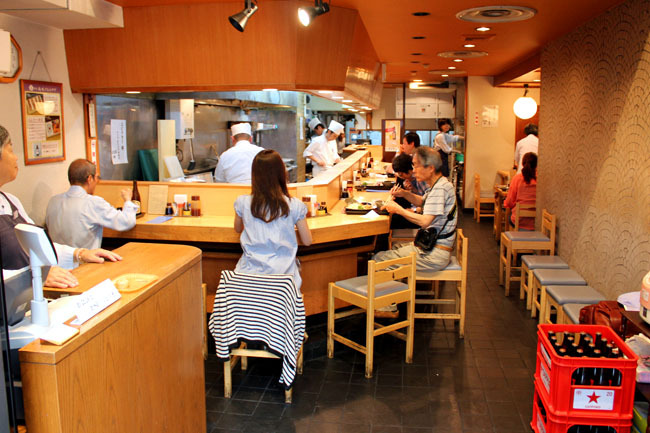 Ginza Bairin is a humble looking shop, seating about 18 on tables and another18 at the counter. 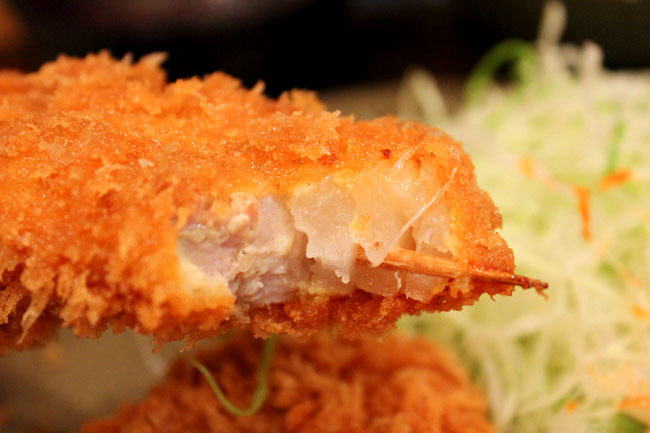 The tonkatsu dishes are worth a try for its history. But I suspect there are better ones around (because it wasn’t mind-blowing yet). This is Japan after all, where food quality is very very high. Yes i agree with you. Seems that very few have recommended this for Tonkatsu. Could this be due to the fact that Ginza Bairin has opened outlets in many countries outside Japan and thus people would prefer to try something new instead? If I had only 1 meal to choose from in Tokyo, I would choose Tonki which is near Meguro. 3 generations working efficiently to produce arguably the best katsu in Tokyo.